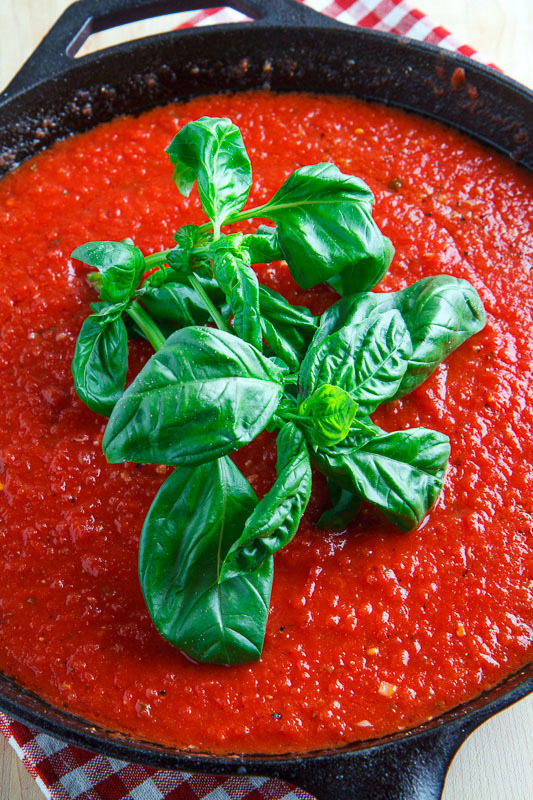 A quick, easy and tasty homemade marinara sauce with plenty of basil! 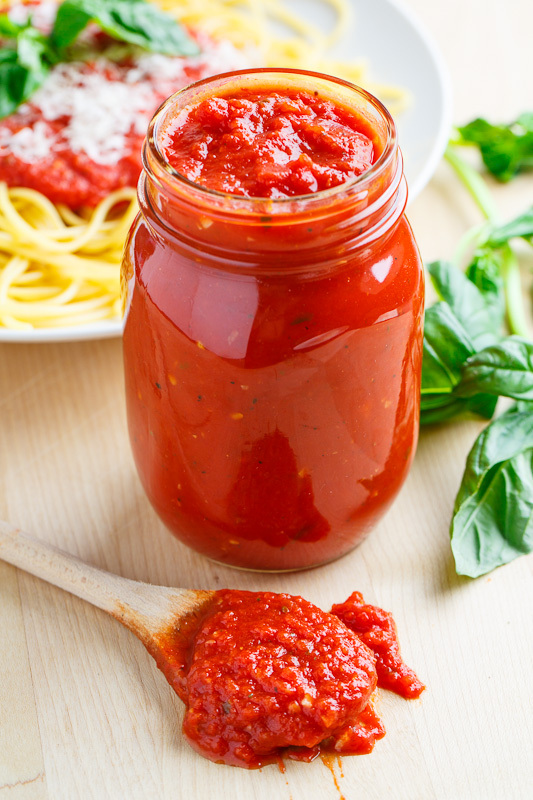 Marinara sauce is one of those pantry staples that I always want to have on hand and it turns out that it is super easy to make your own! 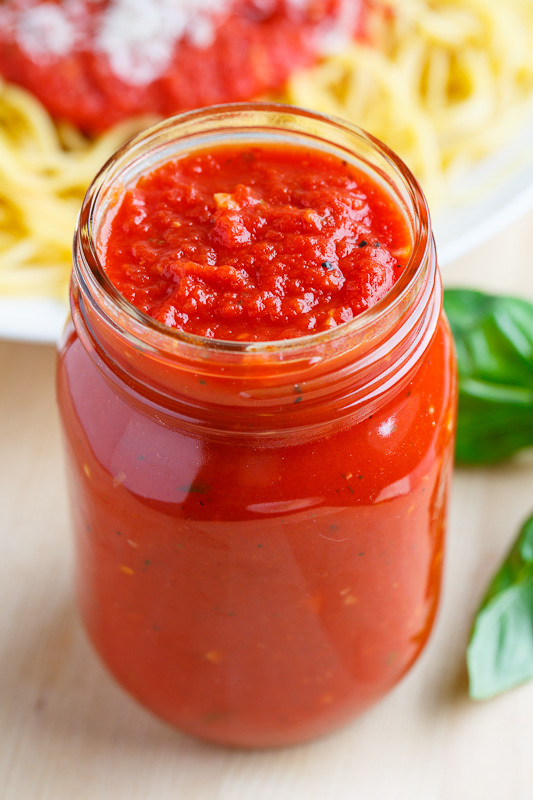 I always want to have a good marinara sauce on around because it can be used in so many different recipes (see below for some ideas) and this homemade version is simply the best! 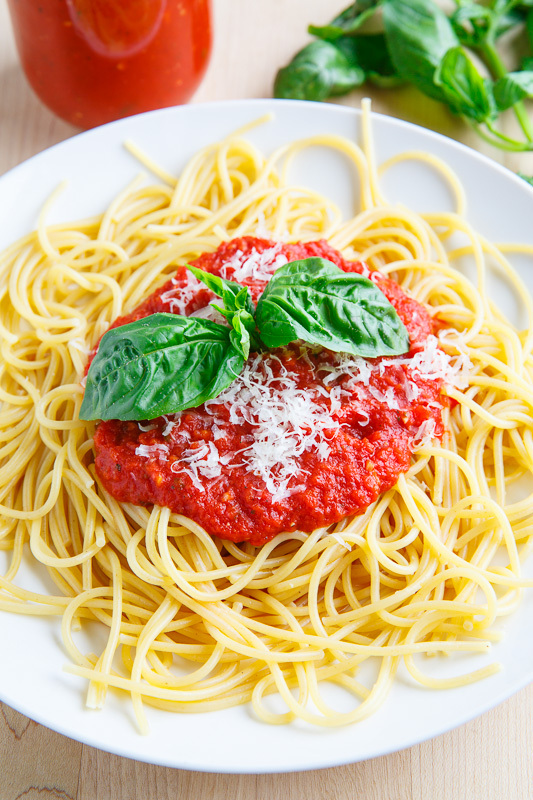 This marinara sauce starts out with a combination of olive oil and butter and it is seasoned with garlic, red pepper flakes and oregano before adding the tomatoes along with onion wedges and fresh basil. The sauce is simmered for a bit to reduce and thicken before removing the basil and onion and adding salt and pepper to taste. 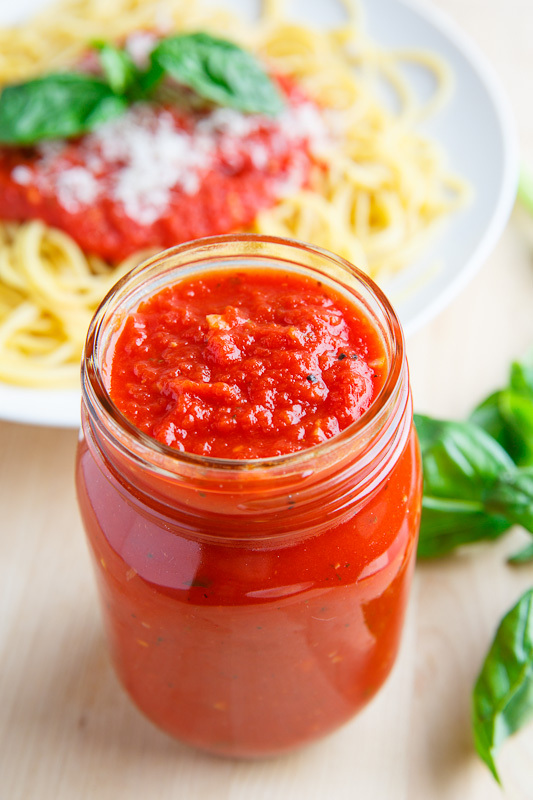 This marinara sauce is great fresh and it keeps in the fridge for a couple of days, in the freezer for months and if you use proper canning you can store jars of it in your pantry so that you have it on hand when you need it! It is amazing served simply on pasta! Optionally with a touch of parmesan! Add the tomatoes, onion and basil, bring to a simmer, reduce the heat to medium-low and cook until reduce by half, stirring occasionally, about 20 minutes. Note: This recipe easily doubles so you can make a lot ahead of time. Option: Omit the fresh basil and use 2 teaspoons of dried basil for a more pantry friendly version. Looks like a hearty, satisfying meal. 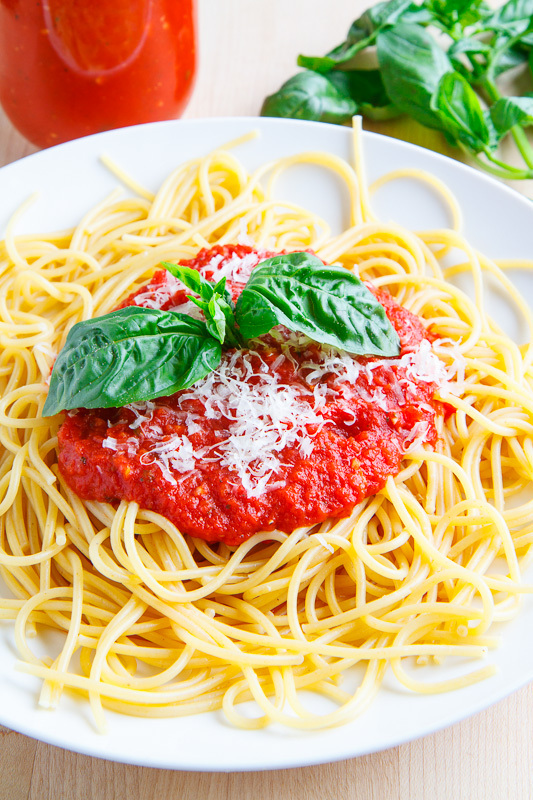 I love pasta with marinara, it’s a childhood favorite! Looks great! I usually have to put the vegetables in the food processor when I make spaghetti sauce to “hide” them from my kids! I wish I could make it with big chunks like this. Pasta looks really good too. 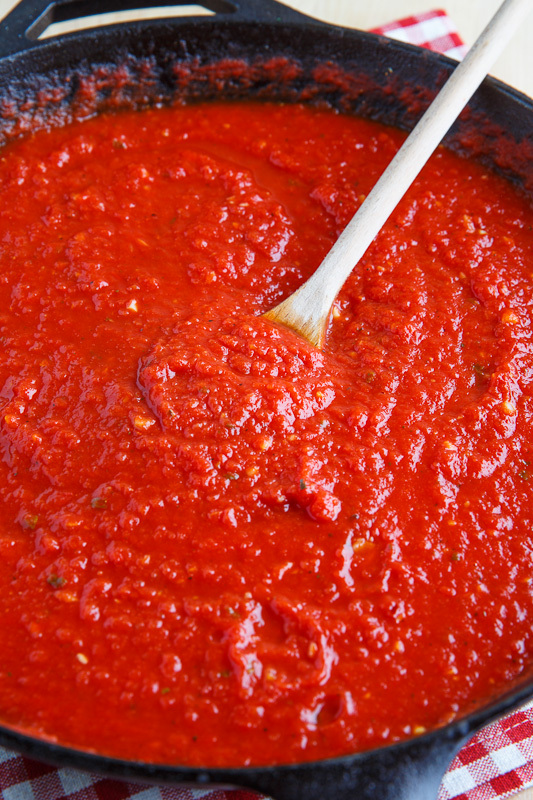 There is nothing quite like a rich and tasty marinara. Thanks for sharing with Presto pasta nights. 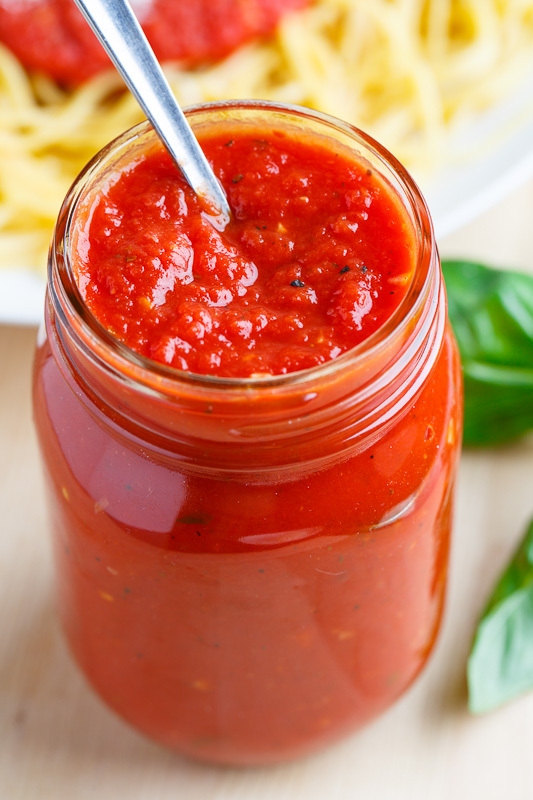 Anonymous: Marinara would go great on some crusty bread in bruschetta form! You mentioned in your parmesean crusted zuchinni that this recipe freezes well. Would you mind sharing how you freeze it? Rachel: I just put it in a sealable plastic container and place it in the freezer. 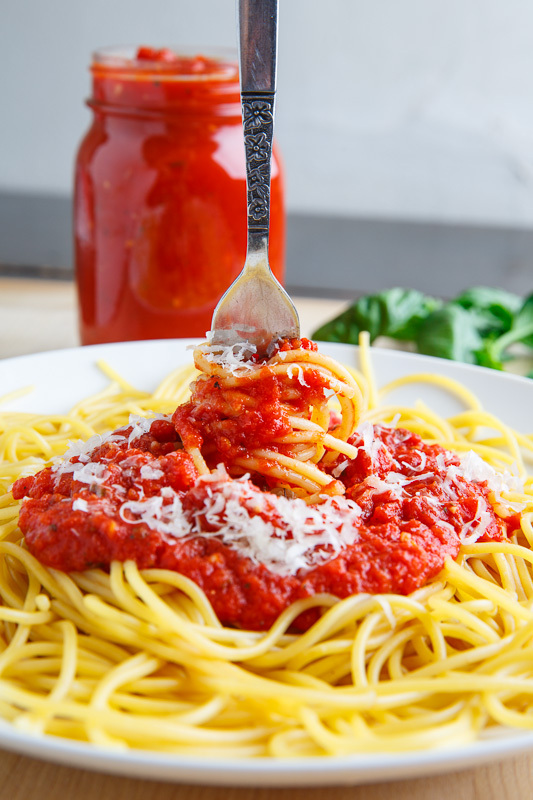 PizzaHomeChef: Marinara sauce is certainly versatile and I use it in a lot of different dishes! 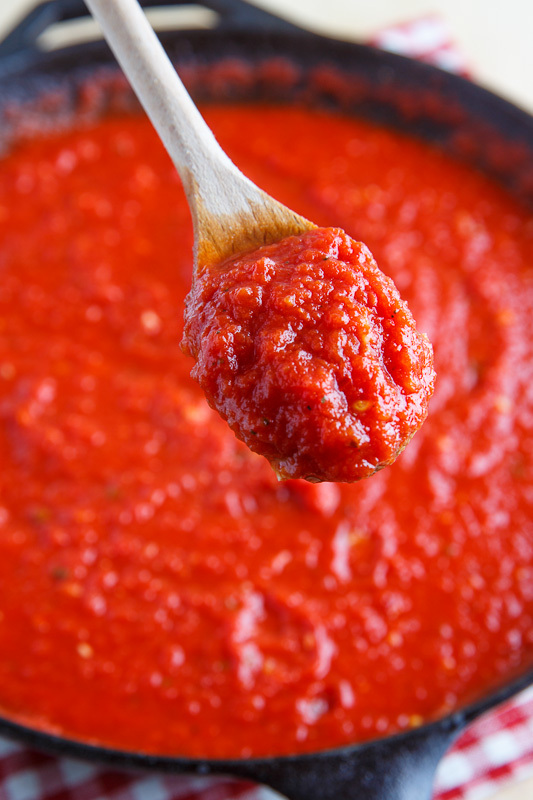 This is perfect with San Marzano tomatoes! I need to always have a jar of this ready to go! I am seriously making this STAT! It's so bright and beautiful! Why not Chop the onions and keep them with the sauce?